BlackBerry has unveiled BBM Messenger for iOS and Android devices in an effort to steal consumers from Apple's own iMessaging service and the universal messaging service WhatsApp. 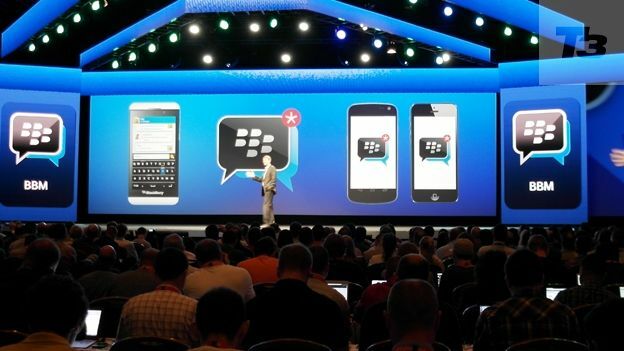 Thorsten Heins unveiled the new app at BlackBerry Live 2013 where he confirmed BBM now has over 60 million users with around 10 billion messages sent and received every day. Of these 10 billion messages Heins revealed that over half are seen within 20 seconds of being sent effectively backing up BlackBerry's decision to launch a universal BBM app. Launching this summer BBM for iOS 6 on iPhone and Androd the app will feature basic messaging functions like messaging and group chat. Heins then confirmed later in the year that the BlackBerry 10 exclusive features like Screen Share, BBM Voice and Video would then be launched later in the year. This will come as a direct blow to Apple and Google, both of whom have their own dedicated messaging apps like iMessage and WhatsApp.